Put this at the top of a list of things I never thought I would say. In the past, I have had no problem heading to the treadmill at the sign of inclement or undesirable weather. However, this past June, my gym with no notice closed it's doors. At the time summer was coming and I was keen to just run outside. I also have some weights (like the Les Mill's body pump set) at home so just went with it. Towards the middle of summer I discovered a bootcamp gym close to home and tried that out. I then spent the month of August in Europe and returned and paid up front for a year at the bootcamp gym and told myself that was it, no other gym membership or classes. Well fast forward to late fall and it starting to get cooler and I wondered if I would be able to last in the cold. And you know what, I totally have. 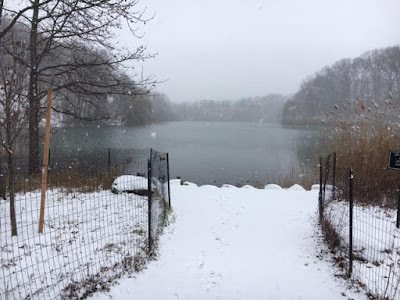 And, as I commented yesterday that the long run in 27 degrees was quite warm, I realized that I have turned a corner and not only embraced, but come to thoroughly enjoy, winter running. I consciously choose to wait for the snow to start last weekend to run! And loved it. 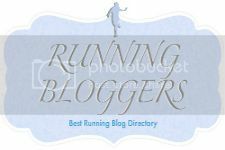 Obviously as I have learned, the right clothing make all the difference in if you will enjoy it and I will definitely share what have been my favorites that I invested in, and was gifted for Christmas that have made winter running so enjoyable. We have had a milder winter which is also helpful thus far. On the oft days that are warmer I have come to realize that I am not looking forward to the eventual heat and humidity that will come our way. 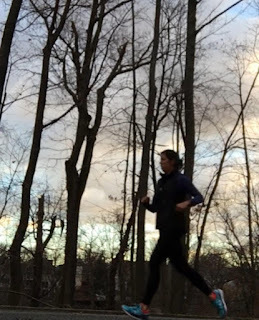 Give me a balmy 40 degree tops run and I am happy! I also think that the exclusive running outdoors has helped me to regain my speed. In the past I have loved the treadmill but for me personally I think that in order for me to race well, I need to be outdoors. I was my slowest when running a ton on the treadmill. I never was able to make my indoor speed translate to outdoors. I also went through a lot at that time with my Crohn's so that could be a part of it but I don't think I will ever be able to practice race pace on a treadmill and then be able to sustain it in a race. For now though I am going to continue to enjoy my new found love for winter time and hope that I don't have to head back to the treadmill any time soon! 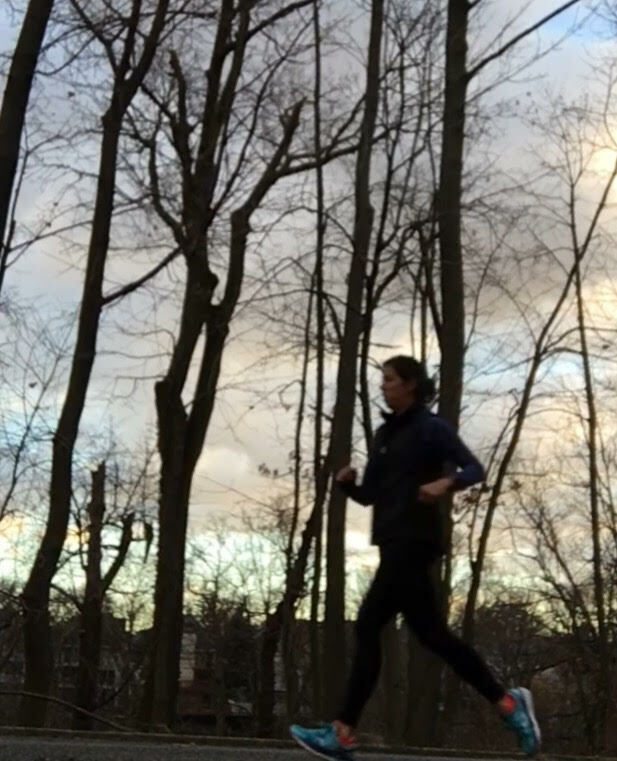 You know I love winter running! I've been outside all winter--have only had to treadmill it once so far! 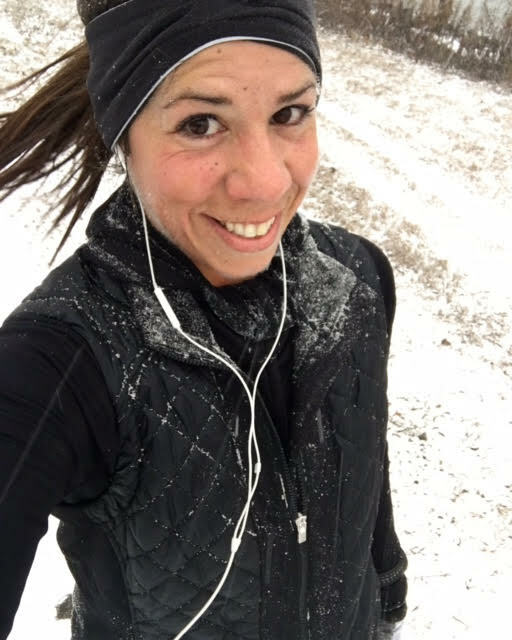 I know, you are my hero because your temps are definitely colder than what we have in NYC; but I definitely find running in the winter more invigorating.